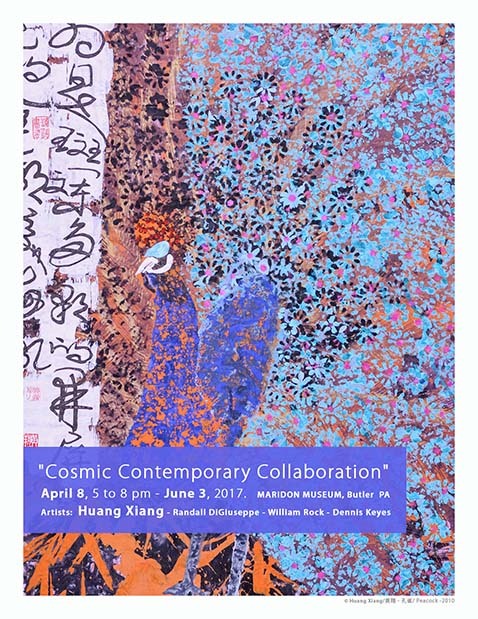 PennsylvAsia: Poet and calligrapher Huang Xiang at Shaler North Hills Library April 6, Maridon Museum April 8. 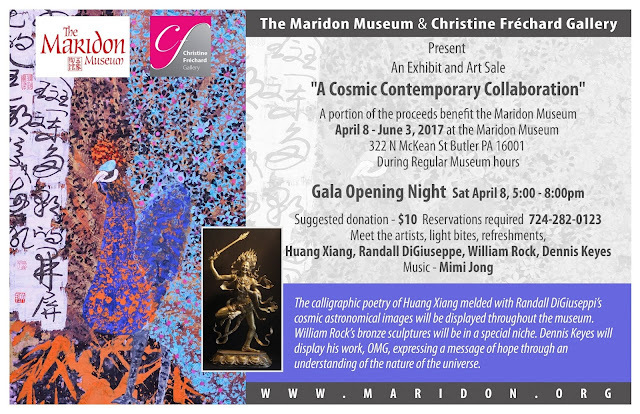 Poet and calligrapher Huang Xiang at Shaler North Hills Library April 6, Maridon Museum April 8. During Xiang's library appearance on April 6 he might show “Century Mountain Morph,” a video showcasing “The Century Mountain Project” and some videos highlighting his life, Rock said. Host Alyssa Sineni, Art and Inspiration executive director of programming and community outreach, will facilitate a dialogue between Xiang and the audience and possibly share her own poetry. The event starts at 7:00 pm and is free and open to the public. The library is located at 1822 Mt. Royal Blvd. (map). Huang will be at the Maridon Museum in downtown Butler on April 8 from 5:00 to 8:00 pm. His work will be on display from the 8th through June 3. A $10 donation is suggested for the April 8 event.